Plant nurseries are agricultural firms that propagate annuals, perennials, and shrubs, and grow them to a marketable size. Retail nurseries sell plants and garden supplies to the general public while wholesale nurseries sell their nursery stock to garden centers, commercial landscapers, and other nurseries. Private nurseries may provide for the needs of an institution or estate. 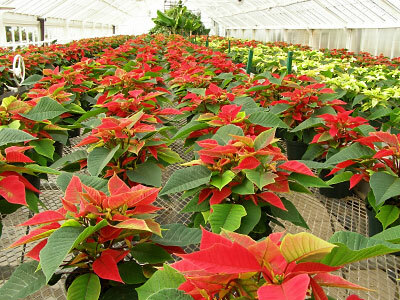 Nurseries vary widely in their scope of operation; some nurseries grow a large assortment of plants while others specialize in a plant category, such as flowers, garden vegetables, ground covers, or succulents. Additionally, a nursery may focus on a certain phase of plant growth, such as propagation or growing out. Some plant nurseries specialize in propagating houseplants or greenhouse plants while others specialize in growing particular plant species and varieties such as roses or orchids. Many nurseries make use of greenhouses, which are made of glass or plastic tunnels. A greenhouse protects plants from harsh weather while still allowing light to filter through. Some greenhouses include automated temperature control, ventilation, watering, and feeding systems. Nurseries are very labor intensive businesses. The plants must be cared for and examined each day. Most estimates say that 70% of the nursery expense is the manpower needed to keep it running optimally. For such a labor intensive business, it is imperative to consider the climate where the nursery is located and grow accordingly, to avoid losing profit. Many plants and shrubs that would grow well in a rainy location may not survive in a dry environment and vice versa. Proper research and ongoing care are needed to ensure the long-term viability of the plant nursery. PlantNurseries.us features convenient access to selected retail nurseries, wholesale nurseries, and online horticulture resources. Home gardeners and landscapers can order plants online or by phone from many of these nurseries. This well-known nursery offers a broad selection of flowering shrubs, perennials, roses, bulbs, and ground covers. Features unusual and hard-to-find garden perennials that also make great garden subjects. Canadian source for roses, perennials, and flowering shrubs features worldwide shipping. Klehm's Song Sparrow perennial farms features peonies, daylilies, clematis, hostas, and other perennials. This Florida-based plant nursery features a wide variety of ornamental grasses and perennial plants. This Connecticut nursery features a large and diverse inventory of rare and unusual plants in all sizes. This family-owned nursery, located in northwestern Connecticut, is a premier mail-order source for plants, bulbs, and gardening supplies. South Carolina plant nursery and gardening source offers a broad range of perennials, bulbs, roses, trees & shrubs, and rare plants. Features container garden supplies and gift plants, as well as useful container gardening information. This Oregon-based nursery offers a selection of herb plants, rare seeds, gardening resources and recipes. This small, family-run Massachusetts nursery features annuals and perennials, grasses and sedges, rock garden plants, and woody plants. Mail order nursery located in Chapel Hill, North Carolina specializes in native perennials, trees and shrubs. This New York State garden center features delphiniums, annuals and perennials. This Tennessee-based garden center offers trees, shrubs, fruiting plants, and garden gear. Certified aquatic plants and tree farm grows Florida native plants, including fresh water plants, wetland plants and salt-tolerant plants. This Washington-based fern nursery offers hardy native and exotic ferns. This producer of container-grown plants provides a large variety of "distinctively better" plants for garden centers. This wholesale grower of perennials specializes in growing quality bare root and starter perennials. Provides ornamental and native grasses to the wholesale trade. Conard-Pyle and Star® Roses work with hybridizers all over the world to bring high quality roses to the market. This major wholesaler offers popular, unusual, and award-winning roses, including fragrant roses, shrubs, climbers and miniatures. Ontario-based nursery ships wholesale woody ornamental nursery stock, roses and trees to Canada, the United States, and Europe. This wholesale nursery serves customers throughout the USA, Canada, and beyond. Wholesale grower located in Washington features ornamental nursery stock, with special emphasis on rhododendrons. Nebraska-based wholesale plant nursery offers perennials, herbs, grasses and wildflowers. This Ontario-based nursery is a grower of potted roses and miniature roses. Large New Jersey-based wholesale nursery features rhododendrons, azaleas, pieris and holly. Offers a broad selection of wholesale greenhouse and nursery supply products. 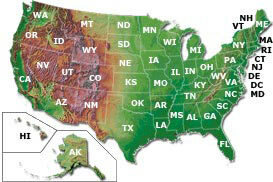 Features a list of native plant nurseries and sources of native plants, broken down by state. Find the native plant you are looking for from a nursery near your home or office. Horticultural software references of plant pictures and data designed for garden centers, growers, and researchers. Garden Plants - annuals, perennials, and flowering shrubs. Seed Catalogs - flower seeds and vegetable seeds for gardens. 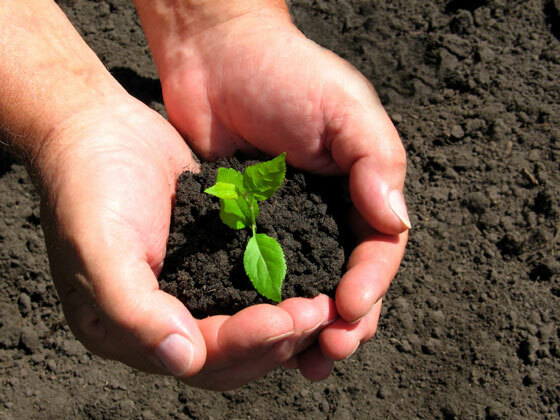 Tree Nurseries - shade trees, fruit trees, and evergreens.